Owners corporations can take steps to remove goods and vehicles that have been abandoned on common property provided they comply with relevant provisions in the Strata Schemes Management Act 2015 and its Regulation. they consist only of rubbish. placed on or near the goods before any items can be removed. include the contact details for a member of the strata committee, the strata managing agent or a delegate of the owners corporation in relation to the notice. Sometimes, goods may block an entry or exit in the common property. If this is the case, the owners corporation can move the goods to another area of the common property without first placing a disposal notice on or near the goods. For that purpose, the owners corporation is taken to be the owner of the goods, and care must be taken to not damage the goods when moving them. 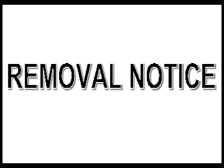 Once the goods have been moved to another area of the common property, a disposal notice must be placed on or near the goods if the owners corporation wishes to remove the goods from the property entirely. An owners corporation can dispose of goods by selling them or in any other lawful manner (for example, taking them to a charity shop or throwing them in the garbage). The proceeds of any sale must be paid into the administrative fund of the owners corporation. Anyone who purchases the goods receives a good title to the goods, freed and discharged of any interest of any person who would otherwise have an interest in the goods. That is, they become the owners of the goods and no other person has any claim to the goods. A written record of the goods sold must be kept for at least 12 months by the owners corporation. The original owner of the goods may apply to the NSW Civil and Administrative Tribunal (Tribunal) for an order that the owners corporation pay them the proceeds of the sale of the goods, less any reasonable costs incurred by the owners corporation in selling the goods. An owners corporation can move a vehicle that blocks an exit or entrance or otherwise prevents the use of common property. The owners corporation must meet certain notice requirements before it can move the vehicle. include details of a member of the strata committee, the strata managing agent, or a nominee of the owners corporation that an owner can contact if necessary. The notice must be at least A4 in size and must be weather proof (that is, cannot be damaged by the weather). What can be done if the vehicle isn’t removed? If a vehicle isn’t removed or moved by the date stated in the notice, then an owners corporation can move the motor vehicle to another place on the common property where it is not causing an obstruction, or to the nearest place where it can lawfully be moved (for example, to a legal parking space immediately outside the strata scheme). If the vehicle is moved in this way, the owners corporation is taken to be the owner of the vehicle, but all care should be taken to ensure the vehicle is not unreasonably damaged if it is moved. An owners corporation may apply to the Tribunal to recover the reasonable costs incurred in moving the motor vehicle in or from the common property. This could include costs incurred for a tow truck.